Trius Winery captures the essence of Niagara Wine Country with an extensive collection of terroir-driven wines made by Craig McDonald. Trius Winery Restaurant was Niagara-on-the-Lake’s first winery restaurant and Chef Frank Dodd prides himself on sourcing local ingredients. Enjoy a range of wines and food including the “Black Glass Dinner” tour and dining experience. 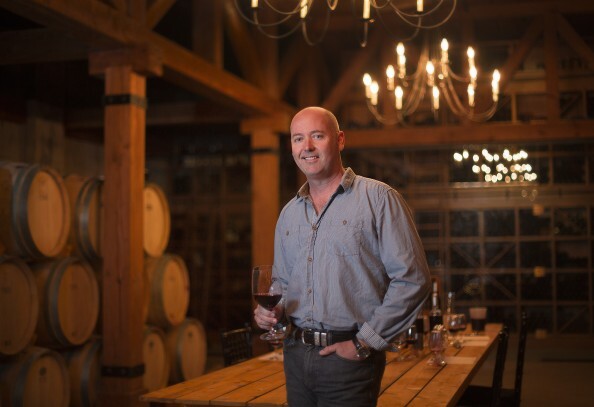 Australian born Craig McDonald leads our winemaking team, crafting VQA wines for Trius Winery. Craig's talent in crafting premium wines has been honed over 28 vintages in a number of countries, including the U.S.A, Australia, New Zealand and Canada. He has devoted the last 20 vintages to creating award-winning VQA wines in Niagara, and was named Ontario Winemaker of the Year in 2008. Under Craig’s guidance, Trius Winery was named Ontario Winery of the Year in 2015 at the WineAlign National Wine Awards of Canada. At Trius we work with some of the oldest Chardonnay vineyards and most experienced growers on the Peninsula. With over 350 acres under contract and covering most of the VQA sub-appellations, our Winemaking and Vineyard teams work closely with key growers to nurture high potential sites and foster long term relationships. Together we have established individual viticultural programs which balance the uniqueness of site and the nuances of vintage variation but always with the highest level of Chardonnay varietal expression top of mind. The Niagara Peninsula is innately cool and with our extreme sites offering even greater challenges we have an opportunity for extended Fall ripening for maximum flavour development and full expression of site and season. Sites such at the Oliveira Vineyard embrace these elements as of one of the coolest sites on the Peninsula and one which consistently resonates with our team year after year. This Lincoln Lakeshore vineyard is nestled close to Lake Ontario and benefits directly from distinct moderating influences which provide both Spring frost protection and enhance late season ripening. Coupled with the impeccable viticultural attention the Oliveira family bring, we seek to amplify this unique ‘single vineyard’ site by utilizing native yeast and restraining the urge to guide and influence at the winery.